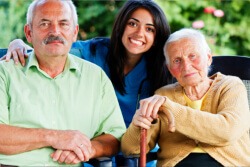 Goodhealth Home Care, Inc. is a full service home health agency that strives to provide you with the best and the highest quality of services. Our service professionals are the best in their services and with their experience they provide the most comprehensive and conscientious care. If you have any questions or inquiries, please give us a call at 773-933-6020. You can also send us a message through our Contact Us page.